Please check further eligibility criteria for the following scholarships on their respective websites. Application forms for most of these scholarships are also available on-line. A Place for Mom annualy awards five $1000 scholarships to students enrolled in an Associate's, Bachelor's or graduate level degree program in a Medical, Nursing, or Social Sciences related major (Gerontology, Medicine, Nursing, Social Work, Sociology, Psychology, Physical or Occupational Therapy, Speech Pathology, or Long-term Care Administration.) Students must be planning on pursuing a career that involves working with Senior Citizens. Applicants must be a citzen or permanent resident of the United States or Canada (excluding Quebec.) A 500-900 word essay on a selected topic is also required. Application instructions and further information is available at www.aplaceformom.com/scholarship. Application deadline is typically mid-April each year. Check the website for complete details. A $1,000 scholarship available to all high school juniors and seniors, as well as all students currently registered in an accredited post secondary institution. Applicants must be between the ages of 16 and 30. Application information available at http://www.abbottandfenner.com/scholarships.htm . Application Deadline is typically early June each year. Check the website for complete details. AES ENGINEERS Engineering scholarship of $500 based on an essay application found at http://www.aesengineers.com/scholarships.htm . Application deadline is typically early October each year. Check the website for complete details. Visit the Seattle Foundation website to see information on a variety of scholarships for African American students including: Alpha Omicron Boule Scholarship and UNCF Scholarship. Application deadline is typically late February to early March each year. The June R. Chaus Scholarship assists students who are committed to working for social justice, and who may be disadvantaged due to race, ethnicity, national background, religious affiliation or sexual orientation. Alternately, students who have been inspired to work for constructive social change due to one or more of the above factors are also welcome to apply. Annual scholarships of up to $1500 each may be awarded to applicants who meet the following criteria: a)have been admitted to an approved undergraduate or graduate institution in the Pacific NW; b)are pursuing studies in Human Services, Health Care, Education, Public Affairs or a related field; c)have demonstrated financial need; have demonstrated strong financial aptitude; d)successfully complete a competitive 500-word essay on an assigned topic (see website); f)are considered to be minority students, based on race, ethnicity, religious affiliation, or sexual orientation. Contact darmstrong@jfsseattle.org for further guidelines, information, and application. Applications are accepted between January 1 and April 30 each year. AMERICAN ASSOCIATION OF UNIVERSITY WOMEN, ANACORTES BRANCH is offering $1000 and $2,000 scholarship opportunities to women who are entering or completing an undergraduate degree program, a vocational certification program, or taking courses beyond the undergraduate level in preparation for an advanced degree. The woman must either be an Anacortes High School Graduate or have resided on Fidalgo Island or Guemes Island for the last three years. Applications can be obtained from the AAUW Anacortes Branch website, https://anacortes-wa.aauw.net/; by request from the AAUW Anacortes Branch at aauwanacortes@gmail.com; or paper versions may be picked up at the Anacortes Public Library. For further information, contact Terri Bawden, AAUW Scholarship Chair, at aauwanacortes@gmail.com or 509-670-4412. Applications deadlines are typically due in early April each year. Contact the organization for full details. Finalists will be contacted for an interview at the Anacortes Public Library. Attendance is mandatory and finalists will be required to submit official transcripts prior to the interview process. AMERICAN ASSOCIATION OF UNIVERSITY WOMEN STANWOOD-CAMANO BRANCH will offers various scholarships to local students. To be eligible, students must be current residents of the Arlington/Stanwood/Camano Island area OR they must be past graduates of Stanwood, Lincoln Hill, Lakewood, or Arlington High Schools. In addition, students must have completed at least two years of college or university and have verifiable plans to continue upper-division or master's level post-graduate work at an accredited 4-year college or university in the coming fall. Additional requirements are listed on the application form, available on the Web at http://www.s-caf.org/AAUW_Scholarships.php. Application deadlines are typically early-mid April each year. Visit the website for complete details. AMERICAN INDIAN ENDOWED SCHOLARSHIP Offered by the Washington Student Achievement Council, this scholarship is for Washington residents who: 1. Have demonstrated financial need, 2. Have close social & cultural ties to an in-state American Indian tribe or community, 3. Plan to enroll as a full-time student in the coming Fall term at an in-state public or private college or university,4. Intend to use their education to benefit the in-state American Indian Community, 5. Have not received a total of five years of this scholarship. Award values range from $500 - $2000. To apply, complete the electronic application, using Adobe Acrobat Reader 10.0 or newer, at http://www.readysetgrad.org/college/american-indian-endowed-scholarship. A hard copy application must be printed, signed, and mailed to the Council, accompanied by: two brief personal statements, letters of recommendation, transcripts. For further information, call 360-753-7843. Application deadline is February 1st, each year. The typical deadline date for Fall term applications is June 1st each year. Interested applicants can access the application and scholarship criteria at www.aigcs.org. AMERICAN MUSCLE AUTOMOTIVE SCHOLARSHIP American Muscle, an aftermarket Ford Mustang parts distributor, is offering 4 currently enrolled college students, or graduating high school seniors, a $2000 scholarship for tuition assistance in an automotive degree or field of study. Students must submit a 700-1500 word essay telling who they are and why creativity and personalization in the automotive industry are important for advancement of the industry as a whole. Submit essays to scholarships@americanmuscle.com by early June each year for Fall quarter scholarships. Deadline for Winter quarter scholarships is early October 1. For more information, visit www.americanmuscle.com/scholarships.html. AMERICAN SOCIETY OF CIVIL ENGINEERS ASCE has several scholarships are for undergraduate students, provided they have at least one semester or quarter of study in the next academic year. Applicants must be current ASCE Student Members in good standing. Complete applications are due to the Honors and Awards Program office no later than early February of the year of award. Not every applicant is rewarded with a scholarship or fellowship. Your GPA, financial need, and the seriousness you express for becoming a civil engineer are important factors in the selection process. Visit http://www.asce.org/scholarships/ for scholarship applications and information. AMERICAN WELDING SOCIETY FOUNDATION, INC. Several scholarships available to full-time students pursuing degrees in welding engineering and welding engineering technology. Various requirements, restrictions, and awards. Most scholarships have an application deadline ofearly-mid February each year for the following Fall term. Visit the AWS website at https://scholarship.aws.org to complete the on-line application, or contact the AWS Foundation office at 800-443-9353, ext 250. ANACORTES KIWANIS AKTION CLUB anticipates granting $1,000 to a student pursuing a degree in special education—Masters/Bachelors, a teacher aide degree with an emphasis on special needs children, or a degree in a health career with an emphasis on special needs children. The Club plans to do this annually, as long as they’re recycling electronics for the State of WA. Students must reside in the Anacortes School Dstrict boundaries and/or have previosuly graduated from a high school in the Anacortes School District. Scholarship applications are available at the Mount Vernon or Oak Harbor SVC Financial Aid Office. Application Deadline is typically early July each year. Application deadline: Completed applications must be received by the Kiwanis Thrift Shop typically by early March each year. The application form has further details. The Army Women's Foundation Legacy Scholarship Program provides grants to women soldiers, past and present, and their lineal descendants to help them attain their educational goals. Community College and Certificate Scholarships are awarded up to $1,000. College, University, and Graduate Scholarships are awarded up to $2,500.To be eligible; the applicant must be a woman who has served or is serving honorably in the U.S. Army, U.S. Army Reserve, Army National Guard or the child of a woman who has served honorably in one of the three listed branches. Applicant must also be currently enrolled in an accredited institution and a high school graduate with a mnimum 2.50 GPA (for College/University scholarships, 30 hours of coursework with a minimum 3.00 GPA are required.) Further information and an on-line application are available at http://awfdn.org/scholarships.shtml. Application deadline is typically mid-January each year. visit the website for complete information. ASIAN AMERICAN JOURNALISTS ASSOCIATION offers scholarships to students studying journalism at accredited colleges and universities who are current AAJA members. These include the Northwest Journalists of Color Scholarship and the Founders' Scholarship. Visit http://www.aajaseattle.org/programs or http://www.aaja.org. For further information, contact info@aajaseattle.org. Two scholarship programs: 1)for classified, professional or confidential exempt employees and 2)for graduating transfer-degree students. The Alan Spence Employee Scholarship is to be awarded to classified, professional or confidential exempt employees who are full-time and permanent, with at least five years experience in this classification in the Washington Community and Technical College System. They must have expressed an interest in community of technical college administration and receive full endorsement from their community or technical college president. If awarded, recipients must carry at least 5-qtr credits or 3-semester credits. The maximum award is $1,200. The application deadline is typically early April eachyear. The "Building Our Future" Student Scholarship is to be awarded to a student who will have completed his/her AA, AS or other transfer degree during the year they are being considered for the scholarship and have been admitted to a 4-year college prior to receiving the scholarship and have and minimum 3.0 cumulative college-level GPA. The purpose of the scholarship is to actively recruit and support students who are seriously considering a community college or technical college teaching or administrative career upon completion of college. Additional eligibility requirements are included on the application form. Faculty recommendation is also required. The maximum award is $1,200. The application deadline is typically mid- May each year. Applications for both student and staff scholarships can be accessed at http://www.theassociationctc.org. BECU FOUNDATION awards $2500 scholarships (renewable for a 2nd year, totaling $5000) to graduating high school seniors and undergraduate students who will attend college, technical college, or university on a full-time enrollment basis. Applicants must be a member of BECU and have a GPA of 3.0 or greater. Other selection criteria include community/school involvement, leadership and academic achievement. Scholarship and/or BECU membership application are available at www.becu.org/scholarships or by calling member services at 1-800-233-2328. Application period is January through February each year. All student athletes in high school or attending a post secondary institute are eligible to apply for a $500 scholarship award. Application includes an essay of 500 words or less describing why you should be the winner of this award. Submit essay to athleticawards@bigsunathletics.com by the deadline of mid-June each year. For complete information, visit http://www.bigsunathletics.com. To emphasize the value we place on creativity and education in our community, BreCyn Salon is offering a $1500 scholarship each year to the student whose scholarship entry best demonstrates how they have developed their creativity and turned it into a skill that has influenced their life and career decisions. Submit to us an inspiring reflection of your talent, this could include be a photo, drawing, video, short essay, song, etc. Show us how you have grown at a person and what kind of person you aspire to be. To be eligible, student must be a current or incoming student at an accredited 2 or 4 year college or a licensed beauty/trade/technical school. The content and medium of the submission are up to the candidate, but please limit essays to 1000 words and video entries to 5 minutes. Submit all entries via email to brecynsalon@gmail.com with the subject line “BreCyn Scholarship Entry.” Include your name, phone number, school you are attending. If your entry is not in essay format, please include a brief one paragraph explanation of your entry demonstrating your creativity and its influence in your life. Non-electronic submissions may be sent to the following address: BreCyn Salon, C/O Scholarship Committee, 8300 Beverly Blvd, Everett, WA 98203. Submission deadline is typically December 1 each year. For further information, please visit http://brecynsalon.com/scholarship/. BUILDING INDUSTRY ASSOCIATION OF WASHINGTON Education Program Scholarship for Washington resident students currently pursuing a post-secondary education with an emphasis in the construction-related industry. BIAW will award scholarshps in the total amount of $10,000 for 2016-2017 academic year. Applicants are evaluated on the following criteria: Academic Record, Work Experience, Community Service/School Activities, Letters of Reccomendation, Financial Need, and an Essay regarding Career Goals. For the application form and further information, visit www.biaw.com. Completed applications must be postmarked typically by early May each year. Please visit the website form complete information. Fo further questions, please contact BIAW Education Program Director Amanda Fields, tel: 360-352-7800 ext 114, or e-mail: amandaf@biaw.com. CHUCKANUT HEALTH FOUNDATION LOIS JEAN ROBERTS NURSING SCHOLARSHIP: Available to R.N. & BSN candidate students who are Whatcom County residents or who have graduated from a Whatcom County High School. Preference given to those seeking degrees from Washington State programs. Scholarships are $1500 per year and may be renewed up to three additional years based on continued success in a course of study leading to licensure as a Registered Nurse, or for continued nursing education. From 1993-2015, over 130 students have received in excess of $335,000 in Nursing scholarship awards. The Submission Deadline is typically early-June each year. For application and further information, visit http://www.chuckanuthealthfoundation.org/grants-scholarships/. The CIRI Foundation scholarships are available for post-secondary undergraduate and graduate studies. Education grants are offered for technical and vocational training. Scholarship and education grants are limited to eligible, qualified, and selected Alaska Native beneficiaries. Awards range up to $2500 based on stated need. A completed application and all required materials must be submitted by the deadline in order for an applicant to receive full consideration. Scholarship awarded twice annually. Re-application required each semester. Application deadlines June 1 & December 1. Application Information available at http://www.thecirifoundation.org/scholarships.htm. The Coca-Cola Scholars Foundation supports over 1,400 college students each year, with annual scholarships of $3.45 million, through two nationally recognized programs.THE COCA-COLA SCHOLARS PROGRAM SCHOLARSHIP is an achievement-based scholarship awarded to graduating high school seniors each year. Students are recognized for their capacity to lead and serve, and their commitment to making a significant impact on their schools and communities. Since inception, the Foundation has provided over 5,700 Coca-Cola Scholars with more than $60 million in educational support. 150 Coca-Cola Scholars are selected each year to receive this $20,000 scholarship. Eligible applicants must be: current high school (or home schooled) seniors attend school in the US (or DofD schools;) U.S. Citizens, U.S. Nationals, U.S. Permanent Residents, Refugees, Asylees, Cuban-Haitian Entrants, or Humanitarian Parolees; Anticipating completion of high school diploma at the time of application; Planning to pursue a degree at an accredited U.S. post-secondary institution; Carrying a minimum 3.00 GPA at the end of their junior year of high school. Applicants may not be: Children or grandchildren of employees, officers or owners of Coca-Cola bottling companies, The Coca-Cola Company, Company divisions or subsidiaries; DACA students; International students (with the exception of students at DoD schools;) High school graduates; Temporary residents. Application deadline is typically late October each year. Information and application can be found at http://www.coca-colascholarsfoundation.org/applicants/#programs. THE COCA-COLA COMMUNITY COLLEGE ACADEMIC TEAM The Coca-Cola Scholars Foundation proudly continues its support of Two Year Colleges through the Coca-Cola Community College Academic Team Program by providing up to $237,500 in stipends. 200 stipends are awarded annually across four tiers of recipients in varying amounts: Fifty New Century Gold Scholars are awarded $1,500, fifty Silver Scholars are awarded $1,250, and fifty Bronze Scholars are awarded $1,000. This scholarship is administered by Phi Theta Kappa, and application details can be found on their website, www.ptk.org. Coca-Cola Leaders of Promise is Phi Theta Kappa’s first scholarship program available to its members to be used during the time they are enrolled in community colleges. 200 scholarships of $1,000 each will be awarded based on applications submitted by members. This scholarship is administered by Phi Theta Kappa, and application details can be found on their website, www.ptk.org. Several scholarship awards of up to $5000 per year for four years to eligible students. Minimum requirements include: Washington residency (of one-year or more), enrollment as a college freshman or sophomore or as a high school senior who has applied for and been accepted into a four year college/university, completion of FAFSA-Free Application for Federal Student Aid, income limitations (see link), minimum 2.75 GPA, plans to continue enrollment as a full-time (12 quarter credits) student. For further information, application instructions, and other resources for financing your education, visit this scholarship link on the College Success Foundation website,http://www.collegesuccessfoundation.org. The Jack Kent Cooke Foundation grants scholarships of up to $40,000 annually (tuition,fees, books, living expenses) nationwide to exceptionally promising community college students seeking to transfer to a 4-year university or college to complete a bachelor's degree. Minimum criteria include: A) Be a current student at an accredited U.S. community college or 2-year institution with sophomore status by December 31, 2014, or a recent graduate. B) Plan to enroll full-time in a baccalaureate program at an accredited college or university in fall 2015. C) Have a cumulative undergraduate GPA of 3.5 or higher. D) Demonstrate financial need. E) Have not previously been nominated for the Jack Kent Cooke Foundation Undergraduate Transfer Scholarship. Students should visit the Jack Kent Cooke Foundation website at http://hubs.ly/y0dk170 for full details and to complete the on-line application. The application deadline is typically early December each year. Please visit the website for complete details. DAUGHTERS OF THE AMERICAN REVOLUTION SCHOLARSHIP, WHIDBEY ISLAND CHAPTER. A $500 scholarship is being offered by the Whidbey Island Chapter of the National Society of Daughers of the American Revolution to a student in any field of study that will have sophomore (2nd year) standing in the 2015-2016 school year. Other criteria include: US Citizen, Resident of Whidbey Island, Official Transcripts & SAT scores, a personal essay, and letters of recommendation. An application form with full instructions is available at the SVC Oak Harbor Campus Financial Aid Office. Application deadline is May 30, 2015. DEGREEDIRECTORY.ORG ASSOCIATE DEGREE SCHOLARSHIPS, see individual links for details. All scholarship deadlines are typically April 1. Please visit the website for complete details. NURSING AND MEDICAL ASSISTING: A $500 scholarship for students who are interested in pursuing associate level degrees or certificates related to Nursing, Medical Assisting, Medical Laboratory Technology, Physical Therapy, Veterinary Technology, Radiologic Technology and others. http://degreedirectory.org/pages/Nursing_and_Medical_Assisting_Associates_Degree_Scholarship.html. ART & DESIGN: A $500 scholarship for students who are interested in pursuing associated level degrees related to Art, Computer Aided Design, Fashion Design, Visual Communications, Interior Design, Computer Graphics, and others. http://degreedirectory.org/pages/Art_and_Design_Associates_Degree_Scholarship.html. COMPUTER TECHNOLOGY AND INFORMATION SYSTEMS: A $500 scholarship who are interested in pursuing associate level degrees or certificates related to Computer Science, Information Technology, Computer Networking, Computer Software, Database Technology, Information Security, and others. http://degreedirectory.org/pages/Computer_Technology_and Information_Systems_Associates_Degree_Scholarship.html. ONLINE ASSOCIATE DEGREE SCHOLARSHIP: A $500 scholarship for full-time or part-time students who are interested in pursuing any online associate level degree. http://degreedirectory.org/pages/Online_Associates_Degree_Scholarship.html. Digital Responsibility was started by a group of Silicon Valley tech employees who wished to share with young people the personal and public consequences of technology. The organization offers four $1000 scholarships per year, based on essays submitted in four specific subject areas. Various application deadlines apply; Don't Text & Drive Scholarship (September deadline,) TEchnology Addiction Awareness Scholarship (January deadline,) E-waste Scholarship (April deadline,) Digital Privacy Scholarship (June deadline.) You must be a high school freshman, sophomore, junior, or senior or a current or entering college or graduate school student of any level. Home schooled students are also eligible. There is no age limit. You must also be a U.S. citizen or legal resident. Complete the application form below including a 140-character message about the specific topic. The top 10 applications will be selected as finalists. The finalists will be asked to write a full length 500- to 1,000-word essay about the topic.The winner will be selected based on the content and creativity of the essay. Please visit http://www.digitalresponsibility.org/scholarships/ for further details and application. David I. Coren Scholarship of $2,500 for up to eight students. These competitive, merit-based scholarships will be awarded to qualified students who plan to pursue a career in the On-Site Power Generation Industry (this may include Diesel Technicians.) Applicants must be full-time students with a minimum 2.8 GPA. Applications are available at www.egsa.org and the application packet will also require an essay, transcripts, references, and a Financial Aid Form. Application deadline is typically May 1 each year. For further information, contact George Rowley, Director of Education, at 561-237-5557 or g.rowley@egsa.org. The Joseph Darimont Vocational Award of $1,300 is designed to help an individual 18-50 years of age who is preparing to enter or return to the workforce. High School seniors and those currently in high school do not qualify for the scholarship. Other criteria include: US Citizenship (at time of application,) High School Graduate (or GED received,) planning to attend a community college or vocational/technical training school and pursuing a vocational course culminating in a diploma or certificate. After the above criteria; applicants will be judged on scholarship, citizenship, leadership, perseverance, resourcefulness, patriotism, financial need, and the skills showing aptitude toward a chosen vocation. Examples of a Vocational degree/certificate include (but are not limited to): Automotive Technology, Culinary Arts, Diesel Mechanics, Fire Protection Technology, Manufacturing/Composites, Marine Maintenance Technology, Welding Technology, and Licensed Practical Nurse (LPN.) Application Deadline Date is usually March 1st, each year. Applications and further information are available on-line at https://waelks.org/what-we-do/scholarships/ and must be submitted to the Mount Vernon Elks Club Lodge #1604, 2120 Market Street, Mount Vernon, WA 98273. Mailed applications must be sent by Certified Mail. The ESA Foundation awards numerous scholarships annually, you do not have to be an ESA member to apply for a scholarship, and our application process is online. Visit http://www.epsilonsigmaalpha.org/scholarships-and-grants/scholarships for a list of scholarships by state, and application instructions. Any completed application / accompanying documents submitted by December 15, and approved for judging will be eligible for a drawing to be awarded a $1000 Early Bird Scholarship as funds permit. The final application deadline is typically February 1 each year. Visit the webiste for complete details. FAR WEST AGRIBUSINESS ASSOCIATION The Far West Agribusiness Association scholarship program has been designed to provide outstanding high school and collegiate undergraduate students with a chance to pursue their educational goals in college. There are two separate selection pools, one for graduating high school seniors and one for current college students. Scholarships are one year in length and will be awarded in various amounts up to (and not to exceed) $1,000 per student. Any full-time student from Washington, Idaho, Oregon, Utah, or Nevada, and is pursuing an undergraduate degree from a college or university in the United States. An application is available for download at www.fwaa.org . Applications include letters of recommendation, transcripts, an essay, and more. Typical application deadline is late March each year. See the website for full details. For questions, please contact Tara Little at the FWAA Spokane Office at 509-465-5055, or by e-mail at Tara@fwaa.org. A $1000 scholarship award for students who are: a current resident of Fidalgo or Guemes Island, seeking initial or continued support for Vocational or Technical education, and who demonstrate the qualities that epitomized Connie Kelley; curiosity, perseverance, humor, courage, optimism, and determination in pursuing their chosen career and life. Requirements include Cover Letter and Two Letters of Recommendation, plus the application form. Application deadline is typically mid-April each year. Finalists must be available for interviews in late April. Visit the Fidalgo Island Rotary website, http://portal.clubrunner.ca/272 for application form and complete details. See "Connie Kelley Memorial Scholarship" under downloadable files. FOSTER CARE TO SUCCESS provides access to several different scholarships for foster and former foster youth. Various criteria and deadline dates apply. Please visit http://www.fc2success.org/our-programs/information-for-students/ for complete details. A non-renewable $2000 (subject to change) scholarship to an applicant attending, or enrolled in, a Washington State college or university on a full-time basis for the upcoming school year. The applicant must be pursuing a career in, or related to, law enforcement. Submit an application (available at the MV SVC Financial Aid Office) with: a) 2 letters of recommendation (see application for source information,) b) a 500-word (minimum) essay on "How I can make a difference in Law Enforcement," and c) high school transcripts, or if already in college, both high school and college transcripts. Application period generally opens in February each year, with an application deadline of late May each year. GASEO MIGRANT CENTER GLORIA & JOSEPH MATTERA NATIONAL SCHOLARSHIP FUND FOR MIGRANT CHILDRENAssists migrant farm worker youth who have the potential and desire to further their education to achieve their personal and career goals. The Fund grants approximately 100 awards annually ranging from $150 to $500. Eligible applicants must have: a)recent history of movement for agricultural employment – priority will be given to current interstate migrant youth; b)scholastic potential; c)financial need; d)enrolled in or accepted at an accredited public or private college, technical or vocational school. See the website for further information and an application http://migrant.net/migrant/sch-mattera.htm. There is no deadline for applications which are reviewed on a case by case basis. Students may reapply annually but are limited to one award per 12 month period. GATES MILLENNIUM SCHOLARS PROGRAM funded by a grant from the Bill & Melinda Gates Foundation, was established in 1999 to provide outstanding African American, American Indian/Alaska Native*, Asian Pacific Islander American**, and Hispanic American students with an opportunity to complete an undergraduate college education in any discipline area of interest. Applicants must also be a US Citizen, national or legal US permanent resident who has attained a cumulative high school GPA of 3.3 or higher or have earned a GED. Students must be enrolling for the first time at a US located, accredited college or university; have demonstrated leadership abilities, and meet the Federal Pell Grant eligibility criteria. Further criteria may apply. Continuing Gates Millennium Scholars may request funding for a graduate degree program in one of the following discipline areas: computer science, education, engineering, library science, mathematics, public health or science. Full details and application available at http://www.gmsp.org. Submission Deadline is typically the end of January each year. Visit the website for complete details. GO RED MULICULTURAL SCHOLARSHIP FUND The American Heart Association’s “Go Red for Women” campaign and Macy’s see the desperate need for healthcare providers from diverse backgrounds, cultures and races who understand diverse cultures. By providing $2,500 scholarships to diverse women, they hope to address some of the healthcare disparities that may lead to cardiovascular disease. Applicants must: Be female of Hispanic, African-American, Asian/Pacific Islander or other minority origin; Be currently enrolled at an accredited college, university, or allied health institution in the U.S.; Be a citizen or permanent resident of the U.S.; Have a minimum 3.0 GPA; Complete an essay and submit two letters of recommendation with the application, available at https://www.GoRedForWomen.org/Scholarship. Application Deadline is typically the end of December 31 each year. Visit the website for complete details. GOVERNOR'S SCHOLARSHIP for Foster Youth The Washington State Governors’ Scholarship for Foster Youth is a scholarship program that helps young men and women who are currently in an open dependency court order in Washington State, or an open dependency tribal court order, continue their education and earn a college degree. Eligible students must meet specific criteria. Be enrolled as a Washington state high school senior and on track to graduate from high school during the 2014-2015 academic year. Plan to enroll in college on a full-time basis, beginning the fall term of 2015, and complete a program of study at an eligible, nonprofit accredited public or independent college or university in the state of Washington. Family Foster Care, with non-relative adults. Dependency Guardianship (with either relatives or non-relatives). Guardianship (with either relatives or non-relatives). If over 18, students must have lived in a court-ordered foster care, dependency guardianship or guardianship until emancipation, (age 18). The applicant is currently, or was until age 18, in federally recognized care. The applicant has been classified by the United States government as an unaccompanied minor refugee, is a legal permanent resident and is in legal care, (or was in care until emancipation) of a private non-profit agency in Washington state. The applicant is currently, or was until age 18, under a dependency tribal court order that placed the student outside the home. Returned to live with their parents before turning 18, (regardless of whether the court continued to remain involved). Visit College Success Foundation, http://www.collegesuccessfoundation.org, to apply, or for further information. Application deadline is typically early May each year. Visit the website for complete details. GUEMES ISLAND ENVIRONMENTAL TRUST CREATIVITY CONTEST $3000 in scholarship awards ($1500 1st place, $1000 2nd place, $500 3rd place,) to Skagit County residents aged 15-20 (individual or team entries.) Entrants must create a media presentation (essays, poetry, music, DVD, YouTube, or other creative media) on the topic of "Global Warming: How can my school be in the forefront of solutions for climate change?" Entry deadline is typically April 1 each year. Visit http://www.gietrust.org for further details and contact information. The Healthcare Leaders Scholarship, offered by http://nurse.org, is a $1000 scholarship awarded to a student entering or currently pursuing an educational program related to nursing or medicine. Students must be at least 17 years of age and have a GPA of 3.0 or higher. All applicants must submit a 600 to 1,000-word essay explaining what they hope to accomplish during their career in the medical field and how the scholarship would fulfill those goals. Recommended topics are included in the Personal Essay section. Typical application deadline is late January each year. Finalists will be notified in February and must provide proof of enrollment and GPA (letters of acceptance, transcripts, etc.) before the scholarship recipient is selected. For the on-line application and further details, visit http://nurse.org/healthcare-leaders/. See the listing under Washington Higher Education Coordinating Board for further information, or contact Chris Wilkins at 360-236-2817 or healthprof@doh.wa.gov. HISPANIC SCHOLARSHIP FUND is one of the largest providers of college financial aid for Latino students. Eligibility requirements include 3.0 GPA, US Citizenship or legal permanent residency, completed FAFSA application, additional restrictions or requirements may apply to specific HSF scholarships. Visit the scholarship page of http://hsf.net for further information. The program offers numerous national, state, vocational, and targeted scholarships. Typical eligibility criteria include: Full time enrollment as a high school senior in the United States; be progressing normally toward graduation in spring/summer of 2017 with plans to enter a college in the United States no later than the fall following graduation; Exhibit a strong commitment to pursue and complete a bachelor’s degree at an accredited non-profit public or private institution in the United States (students may start their studies at a two-year institution and then transfer to a four-year institution;) Demonstrate critical financial need ($55,000 or lower adjusted gross family income is required;) Be involved in co-curricular and community service activities; Display integrity and perseverance in overcoming adversity; Maintain a minimum grade point average (GPA) of 2.0; and Be a United States citizen. Typical application deadline is late October each year. For further information and application details, visit https://scholars.horatioalger.org/scholarships/. The IHS Scholarship Program, created by the authority of the Indian Health Care Improvement Act, is designed to help the agency achieve the mission of raising the physical, mental, social and spiritual health of American Indians and Alaska Natives to the highest level. Scholarships are available to eligible American Indian and Alaskan Natives focused on the health care profession in a variety of fields. Applications, Eligibility Criteria, and the Student Handbook may be downloaded from the HIS website http://www.scholarship.ihs.gov. Application handbooks are also available at the Mount Vernon SVC Financial Aid Office. Deadline is typically late April new applications, check the website for details. Telephone inquires to 301-443-6197. James Beard is fondly remembered by friends and colleagues as a man who offered unstinting help and encouragement to people embarking on a culinary career. The James Beard Foundation offers a number of scholarships each year to apriring culinary arts students and professionals who plan to further their education at a licensed or accredited culinary arts school. Professional grants are also available for independent work, study, and travel. The application period generally opens in April each year and closes in mid-May. Various criteria apply. Visit http://www.jamesbeard.org/education/scholarships-and-grants for further information. JANSON SCHOLARSHIP FUND Several scholarships in various amounts are available for undergraduate (post-high school) residents of Skagit County (established for at least one year immediately prior to commencement of the first day of the term being applied for) based on the criteria of Scholastic Ability, Good Moral Character, and Financial Need. Applications will only be accepted from March 1st through the deadline date of April 15th, 2017. It is essential that students follow application procedures exactly to avoid disqualification. As this scholarship is administered by Emmanuel Baptist Church Board of Trustees, relatives of Emmanuel Baptist Church Trustees or Janson Committee Members are not eligible to receive scholarships. The application process includes, but is not limited to, Family Data, Educational background, Financial Need, an Essay, Faculty Recommendation (to be written on School Letterhead), etc. Applications available at the SVC Financial Aid Office (MV & Oak Harbor) March 1, 2017. Kids' Chance of Washington is a need-based scholarship program for the dependent children and spouses of workers killed or seriously disabled in a workplace accident in Washington. Scholarships may be used for tuition, books, fees, room and general living expenses. Scholarships are paid directly to the school where the student is enrolled. Scholarship recipients can attend any accredited university, community, technical or vocational college. Applications deadlines are typically June 1 for Fall term and November 1 for Winter term. Application and information available at http://kidschancewa.com/application/ . LUVERA SCHOLARSHIP FOR ANACORTES HIGH SCHOOL GRADS A scholarship available to graduates of Anacortes High School with a college level GPA of 3.0 or higher. Applicants must be currently enrolled SVC students. To apply students should complete the SVC Foundation Scholarship Application, located on the web at http://www.mysvc.skagit.edu/file_upload/foundationscholarship_app.pdf, and submit the completed form and 1-page essay to the MV or WIC SVC Financial Aid Office during the SVC Foundation Scholarship open application period each year. The MADF believes that education is the greatest equalizer. We make a difference in education by providing scholarships to individuals who are furthering their education. We also partner with schools, non-profits, churches, and other programs by making financial contributions to their educational programs. We are awarding up to 10 scholarships. Individual students selected by The MADF Scholarship Selection Committee will be awarded $1,500 scholarship to apply towards college educational expenses. Past scholarship awardees can apply annually up to a maximum of 4 years. Application form and complete information available at http://themadf.org/college-scholarships/. Scholarship applications for the 2018/19 cycle are currently open! Deadline to Apply: September 30th, 2018. Eligible Applicants must: be a US citizen; demonstrate a financial need; be enrolled in an accredited college, school or university. Award must be used for educational expenses that include cost of tuition, books, supplies, room and/or board. Employees including Board Member and their immediate family are not eligible. 1) The importance of scholastic achievement. 2) for their financial need. If you have any questions, please email info@themadfseattle.org. Each year MTS offers significant scholarships to college graduate, college undergraduate and senior high school students accepted into full-time marine-related programs with focus in marine technology, marine engineering and/or marine science. Among the eligibility criteria for an MTS schol­arship is the requirement that the applicant must be an MTS member. For membership information, please go to /membership/new/add.aspx. Student Membership is for full-time college students and high school seniors is only $25 per year. As well, an applicant must be either full-time college student cur­rently enrolled in a either a 2-year or 4-year academic program OR a high school senior accepted to either a 2-year or 4-year academic program. Colleges may be international or domestic. Students who previously re­ceived one of the awards listed below are ineligible to apply the following year for the same award. Application and further information available at http://www.mtsociety.org/education/scholarships.aspx. If you have any questions, please email ROVscholarships@mtsociety.org, or 202-717-8705, ext. 102. All ROV scholarship applications and supporting documents must be submitted online via email. Deadline is typically mid-April each year. No mailed in applications or supporting documents will be accepted. Visit the website for complete details. MASSMUTUAL SCHOLARSHIP A national scholarship program for high achieving college students of African American, Asian/Pacific Islander or Hispanic descent interested in pursuing careers in the insurance and financial services industry. Criteria include: US citizen or legal permanent resident, minimum 3.0 GPA, sophomore/junior/senior/5th year grade standing, FAFSA application completed. Selected students are awarded $2,500 for 2-year college students and $5,000 for 4-year college students. A total of $150,000 will be awarded for the 2013-2014 school year. Application available at www.act.org/massmutual. Application deadline is typically early May each year. Visit the website for complete details. Law School Scholarship Program awards scholarships of varying amounts to several students each year based on their commitment to serve the Latino community through law; their past achievement and potential for achievement; and their financial need. Application available on-line at http://www.maldef.org. MALDEF has also developed a comprehensive Undergraduate Scholarship Resource Guide that can be downloaded for free The resources listed include scholarships for permanent legal residents as well as private scholarships available to all students regardless of immigration status, or country of origin. Download the guide from the MALDEF website above. MOUNT BAKER NURSES ASSOCIATION will provide scholarships of up to $750 each to students from Whatcom County, or those who have lived in Whatcom County for the past 12 months. She/he must be accepted at or attending an accredited RN school of nursing or accredited continuing education institution. This does not include any form of pre-nursing. Financial and academic criteria also apply. Letters of recommendation and reference, as well as an essay, are also application requirements. Application forms and complete eligibility information are available at the SVC Mount Vernon Financial Aid Office (Lewis Hall 121.) The application deadline is typically mid to late-April each year. Alfred G. & Elma M. Milotte were known world-wide for their documentary work in natural history, environmental & wildlife studies, and the arts. Their scholarship trust fund annually awards one-year grants of up to $4000 to individuals who share their enthusiasm for exploring, chronicling and spreading the magnificence of the wilderness through artistic communication. The applicant should portray through photography (or other forms of artistic expression such as drawings or written work,) evidence of their interest in natural history, environmental studies or animal behavior. Eligible applicants must: be profoundly fascinated by nature & have been a careful observer of it and have successfully expressed your observations in an artistic way that engages the everyday person, be a high school graduate or GED holder, accepted at a trade school/art school/2 or 4-year college or university for either undergraduate or graduate studies, have a cumulative GPA of 3.0 or higher, have been a resident of the State of Washington for at least 5 years prior to applying. Visit www.milotte.org for full eligibility and application criteria. Application deadline each year is March 31st. Several awards of typically not less than $1,000 to assist deserving freshman students returning for their sophomore year in academic or vocational majors. Selection criteria and considerations include need, academic achievement, and community service. Preference given to current residents of Skagit County who are graduates from a Mount Vernon High School; i.e Mount Vernon High School, Emerson School, or Mount Vernon Christian High School. This award was named in memory of Lyle Poolman who served for several years as chair of the scholarship committee and has been awarded for the past 36 years. Applicants should complete and submit the standard SVC Foundation Scholarship application available at www.skagit.edu. Submit completed applications to the SVC Financial Aid Office of either the Mount Vernon or Whidbey Island campus during the SVC Foundation Scholarship open application period each year..
NATIONAL COUNCIL OF JEWISH WOMEN – SEATTLE SECTION offers partial tuition scholarships for Jewish students. Students must be Washington State residents and scholarships may be used for undergraduate study at any accredited Washington State public or private college, university, technical/vocational school, or job retraining program. Criteria considered: Financial need, Academic Achievement, Jewish & general community involvement, Essay, Special aptitudes/skills/interests. Application materials: most recent official transcripts; 2 letters of recommendation (1 from a teacher;) most recent tax return for yourself and the person(s) who support(s) you; a 1-page essay explaining your background, Jewish & secular community involvement, & future goals. Also include information about special needs or extenuating circumstances; a recent photo for identification purposes. Scholarships will be granted by committee review of the application materials and finalists will be notified in July regarding a phone or Skype interview. Application materials & more info available at www.ncjwseattle.org. Submission Deadline is typically late May each year. Questions to NCJW 206-232-2591 or ncjwscholars@gmail.com. NATIONAL FEDERATION OF THE BLIND NFB offers thirty scholarships from $3000 to $12000 to legally blind students living in the US. Go to www.nfb.org/scholarships for complete details and an application form. Application deadline is typically late March each year. Please visit the website for complete details. NATIONAL PEACE ESSAY CONTEST promotes serious discussion among high school students, teachers, and national leaders about international peace and conflict resolution today and in the future. Based on a 1,500 word essay, up to 53 winners are awarded college scholarships and an invitation to participate in an Awards Program in Washington D.C. each year. This scholarship is open to 9-12 grade high school students. Application Deadline is typically February or March each year. Contest information is available at http://www.usip.org/npec. The Undergraduate Scholarship Program of the NSNA Foundation awards scholarships ranging from $1,000 to $2,500 based on academic achievement, financial need, and involvement in nursing student organizations and community activities related to health care. Additional criteria may be required by some specific scholarships. Application Deadline is typically late January eachyear. Visit http://www.nsna.org for application information and for a listing of nursing scholarship resources. NAVY-MARINE CORPS RELIEF SOCIETY offers education assistance for navy and marine corps family members through interest-free loans and grants. Eligibility criteria include: child (under 23) or spouse of a sailor or marine who is serving on active duty or retired or is a reservist on active duty more than 90 days or has died on active duty or after retiring. Also available for combat wounded sailors and marines who served in Iraq or Afghanistan and are pursuing a degree leading to teacher license/certification; sailors of marines participating in Marine Enlisted Commissioning Education Program (MECEP) or Medical Enlisted Commissioning Program (MECP,) Navy and Marine Corps qualified divers, their children (under age 23) and their spouses, and for spouses of active duty Sailors and Marines stationed and living outside the 50 United States. Applications are available at www.nmcrs.org/education. Application Deadline is typically May 1 each year. Scholarships up to $1,000 for graduating high school seniors and post-secondary students who are NWPlus Credit Union member in good standing for at least 90 days prior to application. If under 18, parent must be a good-standing member. NWPCU employees, family members, or volunteer officials are not eligible. Application and further information available at http://www.nwpluscu.com/about-us/scholarship-opportunities.html. For questions, please contact NWPLUS CU at 425-297-1033 or 1-800-456-6481 ext#1033. Application Deadline is typically early March 11 each year. Visit the website for complete details. NORTHWEST HAWAI’I OHANA (NWHO) SCHOLARSHIP A $500 Education Scholarship will be awarded to eligible students planning to attend any postsecondary program or who is currently enrolled in a postsecondary program who wishes o further his/her education to achieve personal and career goals. Top priority given to a NWHO member, or to the dependent of a NWHO member. Second priority to the child of a Hawai’i high school graduate. Information and application forms available at http://nwhawaiiohana.webs.com/scholarships.htm . Application deadline is typically October each year. Please visit the website for complete details. OFFICERS' SPOUSES' CLUB OF WHIDBEY ISLAND offers three scholarships annually: Graduating Senior, Undergraduate Spouse, or Spouse Continuing Education. Applicants must be currently residing in Skagit or Island County, and planning to attend a college or university to pursue a degree. Applicants must also be a dependent of either an active duty or retired military service member, or an un-remarried widow/widower of a deceased military service member. Application forms and information are available at http://sw.wednet.edu/cms/lib7/WA01001164/Centricity/Domain/151/Officers%20Spouses%20Club%20App%202015.pdf Application Submission deadline is typically late March each year. For further eligibility inquires, please contact charity@oscwi.com. The Passport to College Promise Scholarship program helps students from foster care prepare for and succeed in college. In the 2013-14 academic year, the program served about 400 students, with a maximum annual award of $4,500. Through Passport, students receive a scholarship that assists with the cost of attending college (tuition, fees, books, housing, transportation, and some personal expenses), specialized support services from college staff, and priority consideration for the State Need Grant and State Work Study programs. Passport students also may opt-in for personalized help and support services from the College Success Foundation. Be working toward earning their first bachelor’s degree, associate degree, or certificate. If approved for Passport, students must notify the college financial aid office of their eligibility. They also can contact the Designated Support Staff person at their college to begin receiving help for navigating through college. To apply, complete the Passport Consent Form. See the Washington Student Achievement Council website, http://readysetgrad.org/college/passport-foster-youth-promise-program , for further information, or contact the Passport Program at 1-888-535-0747 (press Option 5) or passporttocollege@wasac.wa.gov. Over $700,000 in scholarships (over 50 types of scholarships with awards up to $20,000) is available to lesbian, gay, bisexual, transgender, queer and straight ally students of any age from Washington, Alaska, Idaho, Montana, and Oregon who are pursuing any post-secondary education, including community college, public or private colleges and universities, trade schools, or certificate programs. Application period typically opens in October and closes early January each year. Application and additinal information available on-line at www.pridefoundation.org/scholarships/ or www.thegsbascholarship.org/apply.php. To further assist students applying for these scholarships, Scholarship Application Workshops will be held throughout the Northwest and online in the fall. For specific times and locations, see the Pride Foundation website, www.pridefoundation.org/. For further information, please e-mail scholarships@pridefoundation.org or call 800-735-7287. PUGET SOUND ANGLERS (P.S.A.) FIDALGO awards scholarships to students wishing to pursue a Bachelor's degree or higher in fisheries, with an emphasis in fish management. You must have an Associate's degree or be a junior or senior in class standing at a university. Research grants ranging from $1,000 to $8,000 may also be available. Please visit the PSA Fidalgo website at www.psafidalgo.org or contact Steve Stout (hm)360-826-3858/(wk)360-873-4241 for further information, application instructions, and requirement criteria. Deadline date for all applications is typically May 1 each year. Please visit the website for complete details. REGENCY ON WHIDBEY MEMORIAL SCHOLARSHIP honors former residents of Regency on Whidbey with a $1,000 scholarship for SVC Nursing students on the Whidbey Island Campus. The applicant will need to be a student accepted into the Nursing Department at SVC. The applicant should also exhibit a strong academic standing, a financial need, and a commitment to quality nursing with a long range goal of service to geriatric patients. Following acceptance of this scholarship, the recipient should prepare a 10-minute oral presentation to the Nursing staff at Regency on Whidbey. Application is made through the SVC Foundation Scholarship application available at http://www.mysvc.skagit.edu/news3.asp_Q_pagenumber_E_136. Submit the completed application and essay to the SVC Financial Aid Office during the open application period, typically mid-January through late-March each year. THE JACK REYNOLDS SCHOLARSHIP FUND is open to student athletes graduating from high school who plan on attending post-secondary college, university, or vocational school. This scholarship is warded by committee selection to a student who exemplifies qualities modeled by Jack Reynolds: scholarship, sportsmanship, integrity, dedication and mentorship. -An essay on how school or athletics has affected you. Essay should, at a minimum, speak to each of Jack's attributes that you exemplify: scholarship, sportsmanship, integrity, dedication, and mentorship. -Attach a letter of recommendation from at least one of the following: Advisor, Principal, Athletic Director, or Head COach. -Sealed (Official) High School Transcript. -Completed and signed Scholarship Application. For questions or further information, please contact tjrsf@yahoo.com or 1-877-397-6962, ext 8. Sunrise Rotary Community Service Scholarship - Applicant should embody the Founders' pioneer ideals and demonstrate excellence in his/her academic achievement and personal life, and exhibit a unique desire to take his/her vocation to the level of community service. Sandra Jeane Crank-Mulkey Scholarship – The Applicant should be a student in good standing in the Life Transitions program. They should exhibit a strong academic standing, a financial need and an active role in community service projects in Oak Harbor. Their presentation topic should detail financial need, further educational plans, and life goals. J. Walter & Violet E. Denny Scholarship - The applicant should be a student in good standing in the "Life Transitions" program, exhibit a strong academic standing, financial need, and an active role in community projects in Oak Harbor, WA to receive this $500 award. Dorothy Neil Scholarship – In honor of Dorothy Neil who was a newspaper woman for over 50 years, a publisher author, and historian of merit; this award is given to applicants who demonstrate similar qualities that separate him/herself from his/her college peers. In their presentation, the award recipient must give their presentation on a topic of interest in either the field of English, History, or Teaching. Rotarian Jeffrey Pleet Scholarship - The applicant should exhibit a strong academic standing and financial need to receive this $500 award. Rotary President's Scholarship – Applicants should demonstrate the ideals of "not only doing things right, but doing the right things," and also demonstrate leadership characteristics in his/her academic achievement and in his/her personal life. The recipient's presentation topic should deal with the topics of either leadership or service. Edgar Samuelson Scholarship – Applicant must be majoring in Business Administration, and embody the virtues of "Service Above Self" and high ethical business standards, as well as exhibiting a quest for knowledge with a strong desire to excel in his/her chosen field. Captain Roy Seth Scholarship – In addition to being a student in good standing of the Whidbey Island Campus of SVC, the student must also be: on active duty, retired, military dependent or a reservist in the US Navy; working toward a four-year degree; a student who exhibits a strong commitment to family, community, and country. Jacob Solin Scholarship - The applicant shold be a student in good standing on the Oak Harbor Campus, exhibiting a srong academic standing and financial need. SCHOLARSHIPS FOR MILITARY CHILDREN / DEFENSE COMMISSARY AGENCY For unmarried children (under 23) of active duty, Reserve/Guard and retired military personnel, and survivors of deceased members. Eligibilty determined by DEERS (Defense Enrollment Eligibility Reporting System ) database. Applicants must be enrolled or planning to enroll in a full-time (12 or more credits) undergraduate program of study leading to a Bachelor's degree at an accredited college or university and must have a minimum cumulative GPA of 3.0. Additional information and application can be found at http://www.militaryscholar.org or at http://www.commissaries.com . Applications must be received (not postmarked) at a commissary typicaly by early February each year. Vist the website for complete details. For a list of commissary locations, see www.commissaries.com "locations." a US Citizen, a Washington Resident, Entering their Junior or Senior year (or Fifth Year Undergrad if required for the degree) attending an accredited 4-year college or university in the State of Washington as a Full-Time student for the full academic year (note: Distance Learning and/or On-line classes will not be considered when determining full-time status,) Maintaining a minimum 3.0 GPA. Further information and application is available at http://www.wascottishrite.org/ . Annual Submission Deadline is generally March 31st. Each year Sea Mar gives $1000 Farm Worker College Scholarships to low-income college students from Washington seasonal or migrant farm worker families, who are currently enrolled in a college or university, and who are planning to continue their education in the next academic year. Students who have previously received Sea Mar scholarships are not eligible. The application with full instructions is available at www.seamar.org/static_pages/farmworkersstudents.php. For more information, contact scholarships@seamarchc.org or 206-763-5277. Application deadline is typically April 1 each year. Please visit the website for complete details. Applicants must be: Alaska Natives who are defined as "Native" under the Alaska Native Claims Settlement Act (ANCSA) and enrolled to Sealaska Corp.; or, Native lineal descendants of Alaska Natives enrolled to Sealaska Corp., whether or not the applicant owns Sealaska Corp. stock. Be accepted or admitted into an accredited college/university or an accredited voc/tech school. Be a full-time student (generally 12 credits per semester for undergraduates, 9 credits per semester for graduate students). Application and information available at http://www.sealaskaheritage.org/programs/scholarships.html. Application deadline each year is March 1st. SEATTLE FOUNDATION SCHOLARSHIPS The Seattle Foundation lists most of its Washington-based scholarships on theWashBoard.org. Free of cost for both students and providers, theWashBoard.org acts as a clearinghouse with vetted scholarship information and matches those seeking scholarship support with those looking to provide it. Students can also check the Seattle Foundation website at www.seattlefoundation.org. SeniorAdvice.com offers two $1000 scholarships to eligible students who are or have been caregivers for an adult relative or a volunteer in a senior living community within the past year. Students must be attending a two or four year college or university. Application materials may contain a video or essay concerning specific questions on adult care giving. Application deadlines are typically mid-January each year for Spring term awarding. Visit https://www.senioradvice.com/scholarships for additional information and application. A brief written statement by the application explaining her or his commitment to the study of labor or to involvement with the labor movement and social justice. A letter of support from a teacher or community member. Up to date contact information, including e-mail, mailing addresses, and phone number. Please note in your application if you have applied to the University of Washington but have not yet received notice from the Admissions Office. If this is the case, you are eligible for the scholarship, but the award will be contingent on admittance to the UW. APPLICATIONS DEALINE IS TYPICALLY DUE BY MID-MAY EACH YEAR. For more information, visit http://depts.washington.edu/pcls/ or contact Andrew Hedden at the above address/e-mail/ or at 206-543-7946. SKAGIT COUNTY FARM BUREAU $1000 scholarship awarded to a graduating high school senior or an already enrolled student in good academic standing at an accredited college or vocational program. Must be a voting member, or the son or daughter of a voting Skagit County Farm Bureau member. For further details and instructions, contact Konnie McCutchin at 360-428-4193, konnie@knutzenfarm.com or Skagit County Farm Bureau Scholarship Committee at 360-766-7103, 15283 Sunset Road, Bow, WA 98232. Application postmark deadline is typically late-March eachyear. Awards up to $1,000 Careers in Agriculture Scholarships to area students pursuing training for careers in agriculture. The award is based on scholastic achievement, leadership in agriculture, and an ability to contribute to agriculture in the future. Information and application forms are available at http://www.skagitfarmers.com/youth-award-programs.html . Applications must be submitted to the Skagit Farmers Supply Burlington Office by April 1. SKAGIT ROCK & GEM CLUB (LARRY NELSON MEMORIAL SCHOLARSHIP) –A $1,000 award to one student to be disbursed Fall quarter 2014. In order to qualify the student must maintain a 2.5 or better GPA, be currently enrolled in an accredited Earth Science, Geology or Park Ranger Program. Ability, need, and intent to continue in the specified field of study will be strongly considered in applicant review. Applications are available in the MV SVC Financial Aid Office. Applications must be accompanied by an official transcript of grades and a letter of reference/recommendation prepared by a professor in the Geology/Physical Sciences Department. Application must be mailed to: Skagit Rock & Gem Club Executive Board, Attn: Nona Avery, 1605 E. Rio Vista, Burlington, WA 98233. Applications must be received typically by late-March 28 each year to be considered. SKAGIT FARMERS SUPPLY awards up to $1,000 Careers in Agriculture Scholarships to area students pursuing training for careers in agriculture. The award is based on scholastic achievement, leadership in agriculture, and an ability to contribute to agriculture in the future. Application forms and information are available at http://countrystore.net/youth-awards-scholarships-and-donations/. Applications must be submitted to the Skagit Farmers Supply Burlington Office typically by April 1 each year. Please visit the website for complete details. Awards of $500 (minimum) for tuition & books for female students who: A. Are returning to school after a break in their education (not continuing from high school); B. Reside in Skagit County; C. Demonstrate Financial Need; D. Exhibit a commitment to specific career goals; E. Intend to continue education at an accredited vocational school or a 2-4 year college or university in Washington State, or an accredited online college, university or trade school; F. Demonstrate community commitment; G. Will access the scholarship within 1 calendar year of receipt. Eligible candidates must complete an application form available at https://skagitwomeninbusiness.com/scholarships/ and write a cover letter explaining the student's goals and plan to achieve these goals. Two letters of recommendation and a copy of college transcripts are also required. Submission deadline is typically late March each year. Scholarships are awarded in May. For additional information, please contact: scholarships@skagitwomeninbusiness.com . SKAGIT WOMEN'S ALLIANCE AND NETWORK (S.W.A.N.) SCHOLARSHIP Up to $1500 awarded annually in October to a woman who: A. Works or resides in Skagit County, B. Is established in a business or profession and practices this business according to ethical standards, C. Holds an Associates, Bachelors, Masters, or PhD Degree from an accredited college or university, D. Is pursuing and is currently enrolled in a program to enhance their business standing or competence (e.g. professional designation or post-graduate study.) S.W.A.N. board members and their relatives are not eligible for this scholarship. Candidates must complete an application form, available on-line at http://www.swanskagit.org/scholarships/.asp, accompanied by two letters of recommendation and a copy of college transcripts postmarked by June 30, 2012. Several scholarships ranging from $1,000 to $3,000 available to students from Anacortes, WA, for those beginning studies in college and Professional-Technical courses as well as for those already enrolled. Application forms are available from late January each year at the SIA Thrift Shop, the Anacortes Public Library, the Anacortes High School Counseling Office, or on-line at http://www.soroptimistanacortes.org/scholarships/. For questions, call 360-588-8205 or 360-299-2866. Application Deadline is typically early March each year. Please visit the website for complete details. PROFESSIONAL/TECHNICAL AWARDOne $500 scholarship will be awarded to a female student participating in Professional/Technical studies at Oak Harbor High School or Skagit Valley College. Applicants must be a graduating OHHS senior or a SVC student pursuing her 2-year degree and have a GPA of 2.80 or higher. She must be motivated to achieve her educational and career goals. See http://www.ohsd.net/ohhs/uploads/u_0_2621.pdf for more information. Applications are available in the SVC Whidbey Island Campus Financial Aid Office. Application deadline is typically early March each year. LIVE YOUR DREAM AWARD The Soroptimist Live Your Dream Awards (formerly the Women’s Opportunity Awards) assists women who provide the primary source of financial support for their families by giving them the resources they need to improve their education, skills and employment prospects. The application period awards cycle will be from July 1 - November 15 each year. Young Women’s Opportunity Award – Awards are given to graduating Oak Harbor High School girls who have overcome obstacles in their life to help them achieve their dream of furthering their education. Please contact us for additional information. Technical Career Scholarship – Grants are given to graduating seniors or students who are enrolled in a non-degree program that leads to a certificate or license, which is typically found in a vocational – technical school or a two-year community college. Application and information available at http://sioakharbor.com/awards.html .Please contact the organization for additional information. SOROPTIMIST INTERNATIONAL OF MOUNT VERNON LIVE YOUR DREAM EDUCATION AND TRAINING AWARDS FOR WOMEN To be eligible for the Live Your Dream Award, you must: 1) Be a woman with primary financial responsibility for supporting your family. 2) Attend or have been accepted to a vocational/skills training program, or an undergraduate degree program. 3) Have financial need. 4) Be motivated to achieve your educational and career goals. 5) Reside in one of Soroptimist International of Americas' member countries and territories. 6) Do not have a graduate degree. 7) Are not a Soroptimist member, an employee of Soroptimist International or immediate family member. 8) Previous Women's Opportunity Awards recipients are ineligible to apply. Currently, the Anacortes region will provide 3 grants ranging from $2,000 to $3,000 to local award recipients, who will then advance to the Soroptimist Regional Level, where finalist recipents have grant opportunities up to $10,000. Applications and instructions are available at http://www.soroptimist.org/awards/live-your-dream-awards.html or by contacting the Anacortes Soroptimist Club contact, Sue Farnsworth, at sianacortes@soroptimist.org, or 360-840-6299. Please contact Sue for application submission instructions as well. Application Deadline is typically November 15 each year. SOROPTIMIST INTERNATIONAL OF ANACORTES ALSO OFFERS SEVERAL ACADEMIC / HEALTH / COMMUNITY-TECHNICAL COLLEGE SCHOLARSHIPS: up to $4000 in various fields including Business, Foreign Language, STEM, Music/Arts/Theater, Marine Biology & Environental Studies, Health Services Studies, Process Technology, Marine Technology, and Community College General Studies. Application period is typically mid-December to mid-February each year. Visit www.soroptimistanacortes.org for information and applications. To be eligible for the Live Your Dream Award, you must: 1) Be a woman with primary financial responsibility for supporting your family. 2) Attend or have been accepted to a vocational/skills training program, or an undergraduate degree program. 3) Have financial need. 4) Be motivated to achieve your educational and career goals. 5) Reside in one of Soroptimist International of Americas' member countries and territories. 6) Do not have a graduate degree. 7) Are not a Soroptimist member, an employee of Soroptimist International or immediate family member. 8) Previous Women's Opportunity Awards recipients are ineligible to apply. Currently, the Burlington region will provide a $1,000 grant to its local award recipient, who will then advance to the Soroptimist Regional Level, where finalist recipents have grant opportunities up to $10,000. Applications and instructions are available at http://www.soroptimist.org/awards/live-your-dream-awards.html or by contacting the Burlington Soroptimist Club contact, Terri Nelson, at siburlington@soroptimist.org, or 360-707-0258. Please contact Terri for application submission instructions as well. Application Deadline is typically November 15 each year. Currently, the Fidalgo Island region will provide a $2,000 grant to its local award recipient, who will then advance to the Soroptimist Regional Level, where finalist recipents have grant opportunities up to $10,000. Applications and instructions are available at http://www.soroptimist.org/awards/live-your-dream-awards.html or by contacting the Fidalgo Island Soroptimist Club contact, Diane Goetz, Dianegoetz4@comcast.net . Please contact Diane for application submission instructions as well. Application Deadline is typically November 15 each year. Currently, the La Conner region will provide a $2,500 grant to its local award recipient, who will then advance to the Soroptimist Regional Level, where finalist recipents have grant opportunities up to $10,000. Applications and instructions are available at http://bit.ly/LYDApply or by contacting the La Conner Soroptimist Club contact, Marnie Haworth, at silaconner@gmail.com, Attn: Marnie; or 360-466-4017. Please contact Dixie for application submission instructions as well. Application Deadline is typically November 1 each year. The Soroptimist Club of Sedro-Woolley offers a number of scholarships of up to $2,000 for students in continuing education. To be eligible for a Continuing Education Award, you must: 1) Be a graduate of Sedro-Woolley or Concrete high school 2) Be pursuing an undergraduate transfer degree or a vocational degree/skills training program. To apply, please send the following items: 1). A letter telling about yourself and stating your educational/career goals 2) a copy of your most recent transcript showing current enrollment in your college or vocational degree or certificate program. Send all to: Soroptimist Intl. of Sedro-Woolley, Attn: Scholarship Committee, P.O. Box 249, Sedro-Woolley, WA. 98284. For additional information contact: Anita Weidkamp 360-630-6004. Application deadline typically mid-July each year. **Please Note: Soroptimist will award additional scholarships for the 2017-2018 school year of up to $2,000 each to current students in a vocational degree or certificate program. The same application instructions above apply, except for the application deadline. The application deadline for this 2017-2018 Continuing Education Award is December 31, 2017. Currently, the Sedro-Woolley region will provide a $1,000 grant to its award recipient, who will then advance to the Soroptimist Regional Level, where recipents could receive an additional $5,000. The program culminates with three finalist $10,000 awards. Applications and instructions are available at http://www.soroptimist.org/awards/live-your-dream-awards.html. For additional information, please contact Anita Weidkamp, 360-630-6004, or anitaweidkamp@gmail.com. Application Deadline is typically November 15 each year. STANWOOD-CAMANO AMERICAN ASSOCIATION OF UNIVERSITY WOMEN (AAUW) SCHOLARSHIP Two scholarships of $2500 each to eligible local students who have completed two years of college. Applicants must be residents of the Arlington/Stanwood/Camano Island area OR must be past graduates of Stanwood, Lincoln Hill, Lakewood, or Arlington High Schools. Applicants are asked to submit college transcripts, letters of recommendation, a personal statement, and a 300-word essay about their relationship to the AAUW mission of advancing equity for women and girls through advocacy, education, and research. For more information, go to http://www.aauw.org/about/index.cfm . Download an application form at http://www.s-ccs.org/Adult_%7C_AAUW_Scholarships.php . Applications must be complete and submitted typically by mid-April each year. The Stanwood-Camano Area Foundation manages four community scholarship/grant programs. The College in the High School program allows high school students the opportunity to earn EvCC credit while simultaneously earning their high school credit for approved advanced high school courses. Scholarships are now available to students who require financial assistance to be able to take the available courses for college credit. The College in the High School scholarships do not go through a typical scholarship cycle. They are available year-round as needed. The high school scholarship cycle begins each year on February 1st with applications due the second Monday in March. Scholarship awards are presented on "Scholarship Night" which is held each year on the last Tuesday in May at the Stanwood High School Performing Arts Center. The Stanwood-Camano Area Foundation has several scholarships available for adult students seeking advanced education or needing additional training or education to compete in today’s workforce. The adult scholarship cycle opens mid-June. The Hallie M. Price Visual Arts scholarship is available to adults 21 years of age or older who are active members of the Stanwood-Camano Arts Guild, Roaming Artists, the Camano Arts Association, or similar groups. The scholarship cycle opens mid-June and remains open until the scholarship is awarded. The music grant cycle opens in October. These grants are available to students (including home schooled students) with financial need who reside within the Stanwood-Camano School District and who have a demonstrated commitment to the field of music. There are grants available for both middle school and high school students. Visit http://www.s-ccs.org for further information, application instructions, and deadline dates. THEDREAM.US offers a national scholarship for highly motivated DREAMers to assist with up to $29,000 for a bachelor's degree at one of their Partner Colleges. In Washington State, the two Partner Colleges are Eastern Washington University and the University of Washington (Seattle Campus only.) To be eligible you must be a Washington State Community College Graduate. You must also apply to the Partner College before the scholarship application period closes. Confirmation of Partner College admission is part of the scholarship selection and awarding process. Additional Criteria: 1. Have graduated from or are a current student at an accredited U.S. community college or two-year degree program and will graduate in the current school year. 2. Graduated with or have a cumulative GPA of 3.0 or better. 3. Have not previously enrolled in a 4-year institution or a bachelor's degree program prior to the Spring of the current academic year. 4. Intend to enroll full-time in a baccalaureate program at the Partner College inthe Fall of the coming school year. 5. Are eligible for in-state tuition at the Partner College you plan to attend. 6. Have DACA or TPS status, or certify that you meet the immigration eligibilty requirements of the scholarship (see THEDREAM.US website.) 7. You came to the United States before reaching your 16th birthday, and 8. Demonstrate significant unmet financial need. The scholarship typically opens around November 1st, and closes around March 1st. Students are notified of awarding by the end of April. For questions, or further information, contact TheDream.US at: E-mail - TheDream.US@applyISTS.com and reference "TheDream.US National Scholarship Program" in the subject line. Tel - 1-855-670-4787 and ask for the "TheDream.US Scholarship Program." U.S. BANK SHOLARSHIP PROGRAM US Bank has 35 x $1000 scholarships that are awarded by random drawing. There is also an opportunity to receive a $5000 scholarship by completing eight Financial Genius on-line education modules. Apply on-line at www.usbank.com/scholarship. Application deadline is typically late May each year. UNITED STATES HISPANIC LEADERSHIP INSTITUTE annually awards the Dr. Juan Andrade Scholarship for Young Hispanic Leaders to outstanding high school seniors or college students who are committed to make a change for their community. Students attending or accepted to a 2-year institution may be eligible for a $500 scholarship and those attending/accepted to a four-year institution may be eligible for a $1,000 scholarship. Full-time enrollment, financial need, and at least one parent of Hispanic ancestry are required. Recipients must also be able to attend the USHLI National Conference in Chicago, Feb 13-16, 2014. Applications and further information are available at http://www.ushli.org/student/scholarship.php . The application deadline is November 1, 2013. US DEPARTMENT OF HEALTH AND HUMAN SERVICES HEALTH RESOURCES AND SERVICES ADMINISTRATION NURSING SCHOLARSHIP PROGRAM The Nursing Scholarship Program of the Health Resources and Services Administration (HRSA) is a selective program of the US Government that helps alleviate the critical shortage of registered nurses currently experienced by certain types of health care facilities by helping needy students complete their registered nurse training. In exchange for scholarship, upon graduation, the newly minted nurses work (receiving a competitive salary and benefits package, negotiated directly with the employing facility) at these types of facilities for at least 2 years. Applications are accepted once each year, beginning in March or April and ending in April or May. Eligible applicants must be US Citizens or nationals, enrolled full-time for the next Fall term in an accredited professional registered nurse program, free from any Federal judgment liens or delinquent on any Federal debt, and free from any existing service commitments. Additional criteria may apply. The award includes tuition, fees, book & supply expenses, and a monthly stipend. An estimated 500 scholarships will be awarded, most to those applicants who have a zero EFC on their FAFSA application. See http://www.hrsa.gov/loanscholarships/scholarships/Nursing/ for full information and application. VA MORTGAGE CENTER MILITARY EDUCATION SCHOLARSHIP PROGRAM Ten yearly $1,000 scholarship awards to college students with current or potential military affiliation. Eligibility criteria include: Current and prospective ROTC program students, Active-duty military personnel with plans to attend college, Honorably Discharged Veterans of the US military, Son and Daughters of Veterans or Active-duty military. Further information on the selection and application process available at http://www.vamortgagecenter.com/scholarships.html. Fall and Spring scholarship application periods with specific deadlines. Further information is available at 573-382-2689.
theWashBoard.org is a new, one-stop, free, student-centered, online clearing house for Washington students seeking college scholarships. Launched in January 2010 by the public/private Washington Scholarship Coalition, this site is designed to make it easier for Washington students to efficiently find and apply for relevant scholarships. This user-friendly site allows students to search and apply for verified scholarships that are specific to their academic interests, college or university, or other criteria. Visit http://www.thewashboard.org for further information. Washington's tree fruit industry is assisting 105 students this fall with scholarships valued at $350,000 through the industry's charitable foundation. Awards range in size from $500 to full-ride, multi-year awards. Each award has its own set of criteria and selection priorities established by the scholarship sponsor. View a list of awards and a universal scholarship application at http://www.waef.org. Application deadline is typically March 1 each year. Please visit the website for complete details. THE VALUE OF THE LIBERAL ARTS ESSAY CONTEST FOR HIGH SCHOOL SENIORS: All Washington Sate high school seniors enrolled during the 2014-2015 academic year are eligible to enter. The First Prize winner will receive a $3000 scholarship to a Washington Consortium for the Liberal Arts (WaCLA) school, the Second Prize winner will receive a $2000 scholarship to a WaCLA school, and the Third Prize winner will receive a $1000 scholarship to a WaCLA school. The contest requires students to write an essay of no more than 500 words on the following topic, "Explain how a liberal arts education can illuminate an issue that's important to the people of Washington State." Further information on the scholarship, and submission directions can be found at https://collab.evergreen.edu/hsessay/. Application Deadline Date is typically mid-January each year. Visit the website for complete details. WASHINGTON SOCIETY OF PROFESSIONAL ENGINEERS EDUCATION FOUNDATION provides Engineering Education Incentive Awards of $500 or more to students transitioning from a Washington community college into an accredited engineering program in the state of Washington. Candidates are nominated for the Incentive Award by the faculty of their community college. Nomination packets are due by April 1st of each year. More details are available at http://www.washingtonengineer.org, or by contacting Leonard Byrne, PE at 509-928-8561 or byrne@cet.com. WASHINGTON STATE BUSINESS & PROFESSIONAL WOMEN'S FOUNDATION Several scholarships of various amounts available to eligible applicants. Requirements include: a women student and a U.S. citizen, meet age requirements for specific scholarships, a Washington State resident for two or more years, officially accepted into a program or course of study at an accredited school in Washington State (including on-line courses,) demonstrate scholastic ability and financial need. Official transcripts and other documentation also required. 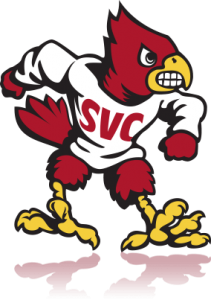 Some of the awards that SVC students may be eligible include: Mature Woman Education Scholarship ($1000,) Single Parent Scholarship ($1000,) BPW/WA Past President Memorial ($500,) Lulu Fairbanks Memorial Scholarship ($500,) and the BPW/WA Member Scholarship (up to $500.) Further information and an application available at http://bpwwafoundation.org/scholarships/. Please visit the website for complete application details. WASHINGTON STATE EDUCATION & TRAINING VOUCHER (ETV) FOR CURRENT & FORMER FOSTER YOUTH ETV offers financial assistance up to $5000 to eligible students who are: under 21(or under 23 & received ETV funds as of your 21st birthday;) accepted into a or are enrolled in a degree, certificate, or other program at an accredited school; are currently a dependent youth in foster care, or you were a dependent of the State of Washington and aged out of foster care system at age 18; emancipated or were adopted from foster care after age 16. Applications are available at www.independence.wa.gov or from the ETV Program Manager. Call for further info at 1-877-433-8388. Quarterly Priority Processing Deadlines may apply. You must also submit a Federal Financial Aid Application at www.fafsa.ed.gov. Grants up to $1000 for qualified applicants planning to pursue an eligible vocational/technical course above and supplemental to high school. Applicants must: be a US citizen at the time of application, be planning to attend a community college or training school in Washington State, be an adult aged 21 to 50 with a high school diploma or GED, be planning to pursue an eligible two-year or less technical or vocational course culminating in an Associate degree, diploma, or certificate. Application forms are available at www.waelks.net or at your nearest Elks Lodge, i.e. Oak Harbor Lodge No.2362, 155 NE Earnst St., Oak Harbor, WA 98277, 360-675-7111. Mount Vernon Elks #1604, 2120 Market St. MV 98273, 360-848-8882. Application deadline each year is the last working day in February. WASHINGTON STATE EMPLOYEES CREDIT UNION For members or member's dependents of WSECU. Must be attending full-time in upcoming Fall term and working on first college degree. A total of $65,000 will be distributed; including $2,500 for awardees attending a 4-year or graduate school, and $1,500 scholarships for students pursuing a 2-year degree or vocational certificate. Application period typically opens in December and closes in mid- February. For more info and application, visit the website at www.wsecu.org (search "Scholarships",) or contact the scholarship coordinator at 800-562-0999 ext. 10470 or ext. 10841. WASHINGTON STATE HOME AND COMMUNITY EDUCATORS is sponsoring four $1000 scholarships for four women, 25 years or older, who have a defined plan to continue their education to improve the possibilities for advancement or train for a new career. Special consideration will be given to women entering family-related fields. Scholarship awarding is based Scholarship (40%,) Need (40%,) Community Involvement (20%.) Visit http://wshce.wordpress.com for further information and application instructions. Application deadline is typically May 1 each year. Visit the website for complete details. WASHINGTON STATE NURSES ASSOCIATION Visit http://www.wacenterfornursing.org/resources/scholarships/ for a listing of nursing scholarships and scholarship search tools. WASHINGTON STATE OPPORTUNITY SCHOLARSHIP The Washington State Opportunity Scholarship supports low- and middle-income students pursuing eligible high-demand majors in science, technology, engineering, math (STEM) or health care and encourages recipients to work in Washington State once they complete their degrees. Eligibility requirements include: WA residency, high school diploma or GED from a Washington state high school or institution, pursuing an eligible high-demand major in STEM, working on first bachelor's degree, full-time enrollment, 2.75 or higher GPA, pursuing an eligible degree program for this award (Engineering, Health Care, Mathematics, Science, Technology,) submission of FAFSA; must apply for Federal Education Tax Credits if eligible, meet family income guidelines (see chart on website.) Additional criteria may apply. Awards range from $2500 to $7500 per academic year, depending on grade level, and are renewable for up to 5 years. Application available at http://www.waopportunityscholarship.org. Application deadline is typically late February each year. Applicants must be first-time entering freshman at an accredited 2 or 4-year college or university, vocational technical school, or trade school. Awards up to $2,500 for 2-year schools and up to $5,000 for 4-year schools. Application and information available at http://www.washingtonscholarships.org/index.html. Application typically opens in early January and closes by March 1 each year. Please vist the website for complete details. -American Indian Endowed Scholarship for financially needy undergraduate and graduate students with close social and cultural ties to a Native American Community. -Health Professional Loan Repayment and Scholarship. Participants in these programs agree to provide primary health care in rural or underserved urban areas in Washington with designated shortages. -Passport to College Promise Scholarship Program & Governor's Scholarship for Foster Youth to receive support to succeed in college. -Washington Award for Vocational Excellence (WAVE Scholarship) honors vocational students for outstanding achievement in vocational/technical education. WASHINGTON THOROUGHBRED FOUNDATION is currently offering two scholarship opportunities through their Race For Education program. Additional details and application can be found at http://thoroughbredfoundation.org/. For questions or additional information regarding either scholarship, please contact M. Anne Sweet at 253-288-7895 or info@thoroughbredfoundation.org. 1. Washington Thoroghbred Foundation Scholarship is available to Washington State residents or students attending a Washington school from any background wishing to pursue a career in pre-veterinary medicine (equine practice only,) equine science, racetrack management, equine business management or pasture mangement as it pertains to horse farms, equine or racetrack marketing and/or communications and other related fields. Scholarship award is up to $5,000 per year. Application deadline is typically late February each year. Visit the website for complete details. 2. Scholarship for the Arts, the Horse and Whole Lot More! is avaiable to Washington State residents or students attending a Washington State School wh wish to pursue a recognized art program at a college, university or art school. THe purpose of the scholarship is to encourage artists, not limited to equine artists, and to support the arts in general. THe scholarship is offered jointly by the Equine Art Committee under the auspices of the Washington Thoroughbred Foundation. Scholarship award is up to $2,500 per year. Application deadline is typically by April 1 each year. Visit the website for compltete details. WASHINGTON WOMEN IN NEED EDUCATION GRANT provides assistance for tuition, fees, books, and supplies to women 18 or older who meet WWIN residency and income requirements. The WWIN Education Grant funds up to $5,000 over one calendar year for women throughout the State of Washington who are ready for transformational change and looking to build a better future for themselves, their families, and their communities for generations to come. Students must be pursuing a vocational or technical certification, Associate’s or Bachelor’s degree. Visit http://www.wwin.org/apply/ for information and an application. Application deadlines (2 awarding cycles) are typically late April and late October each year. WESTERN WASHINGTON UNIVERSITY COLLEGE OF BUSINESS AND ECONOMICS SCHOLARSHIPS Available to students fully admitted to WWU and the College of Business & Economics who will be juniors or seniors during the upcoming academic year. Scholarships are awarded mainly on the basis of scholarship, as evidenced by GPA. Visit the CBE website, http://www.cbe.wwu.edu/cbe/students/scholarships.shtml for information and an application, or contact by phone WWU Parks Hall 419 – 360-650-3896. Deadline is generally early April with award notification in July. THE WHIDBEY ISLAND CHAPTER OF THE MILITARY OFFICERS ASSOCIATION OF AMERICA (WICMOAA) SINGLE PARENT HEAD OF HOUSEHOLD SCHOLARSHIP: An annual $1500 scholarship for a single parent head of household who has military affiliation. Military affiliation is defined as prior military service (active or reserve,) prior JROTC, former spouse, relative (parent, grandparent, other blood relative.) The intent of this scholarship is to provide assistance and incentive to a single parent head of household to improve their education background and thereby enhance their employment opportunities. The scholarship may be used to complete a degree program or to attain certification in a technical field. Application forms are available at the SVC Whidbey Island Campus (Oak Harbor) Financial Aid Office. Submission Deadline is typically early April each year. For questions, please contact the Scholarship Chair, D.A. Wright Capt. USN (ret,) at 360-679-7435 or bdwr3036@comcast.net. YOUNG DEMOCRATS OF SKAGIT COUNTY SCHOLARSHIP is open to juniors and seniors from all Skagit County public high schools planning on attending some form of higher education, as well as first and second-year students enrolled in Skagit Valley College or Western Washington University with an interest in civic engagement and political activism. Up to $500 will go to one winning applicant, but additional awards will be determined at the discretion of the Excutinve Board. Applicants must attend YDSC meetings and show civic engagement in the organization. YDSC meetings are held the second Saturday of every month at the Skagit Democrats HQ in downtown Mount Vernon from 1-2:30pm. To be a member of YDSC, you must reside in Skagit County at least part-time and be under the age of 36. A short essay (500 word max) on your political engagement is required to apply. The essay content is flexible, but an example would be why you got involved, how you will remain involved, and your hopes for the future. Essay submission deadline is May 2, 2019. Submissions will be accepted at meetings, or via e-mail to ydskagitcounty@gmail.com. If you have questions, please e-mail Young Democrats of Skagit County at ydskagitcounty@gmail.com. ZONTA INTERNATIONAL WOMEN IN BUSINESS SCHOLARSHIP The Jane M. Klausman Women in Business Scholarship is for women undertaking a Business or Business-related program of study at an accredited college or university. Zonta International offers twelve scholarships in the amount of $7000, as well as $1000 scholarships at the district/region level. Students must be in at least the second year of an undergraduate program, and may apply up through the final year of a Master’s program at the time of application. They must also have achieved an outstanding academic record and demonstrate initiative, ambition, and commitment to pursuing a career in business. For application details, please visit www.zonta.org. Applications, and all required documentation, must be sent to the local district at: Zonta Club of Everett, P.O. Box 5204, Everett, WA 98206-5204. Application deadline is typically April 1 each year. Please visit the website for complete details.